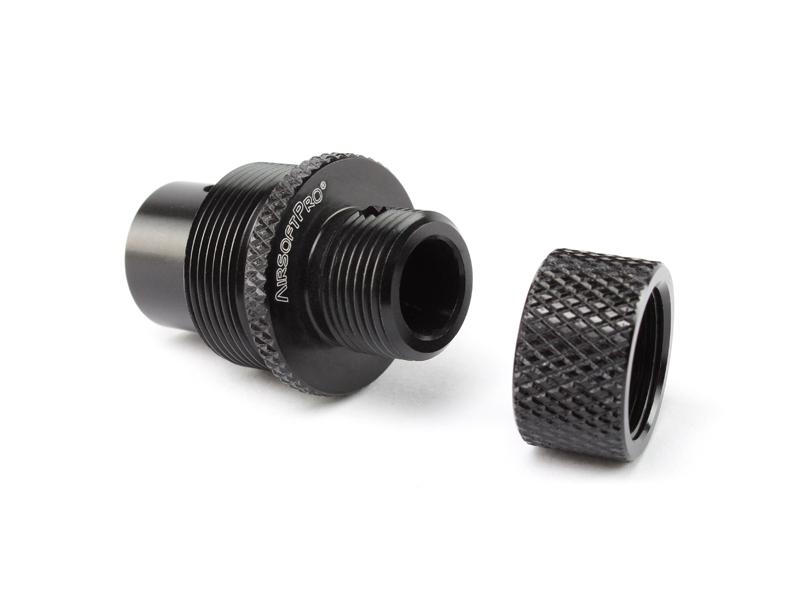 Home > Barrel Adapters > Airsoft Pro Suppressor adapter for Marui VSR-10 Pro and JG BAR-10. Airsoft Pro Suppressor adapter for Marui VSR-10 Pro and JG BAR-10. Suppressor adapter for airsoft rifles. It can be simply screwed at the end of the gun barrel, instead of the cap. 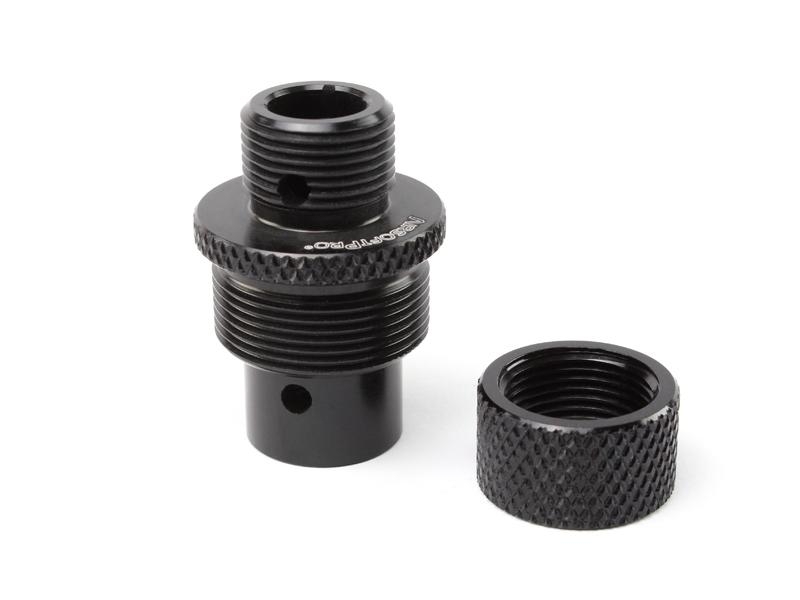 On the smaller thread, you can screw any suppressors or flash hiders with a standard 14mm left-hand (CCW) thread. A rubber ring is inserted inside the adapter. It improves the barrel axis lead. It fix inner barrel exactly in the center of the adapter and reduce the vibrations. 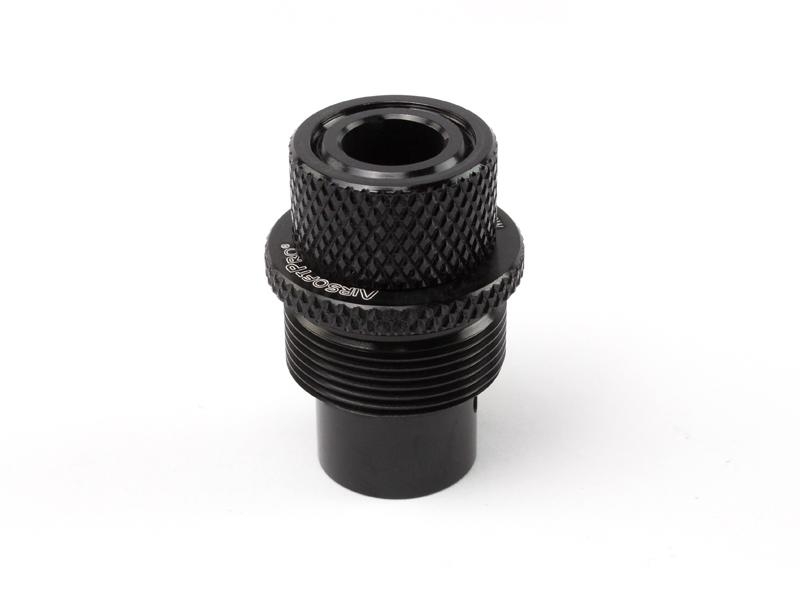 The adapter is also equipped with a thread cover that prevents damage or thread dirt. Each piece has a thread procetion ring. Protects against damage and dirt.